National Preparedness Month - Don’t Wait for the Next Disaster to Develop Your Plan . For the most peace of mind regarding the protection of your data, you should consider off-site server hosting. Fully supported server and application hosting options are available through offerings like the IT Solutions NearCloud plan. Added benefits of hosting your data off site include the elimination of expensive server hardware refreshes every few years, lower power and cooling costs, and the overall shift of IT infrastructure costs from capital expense to operating expense. 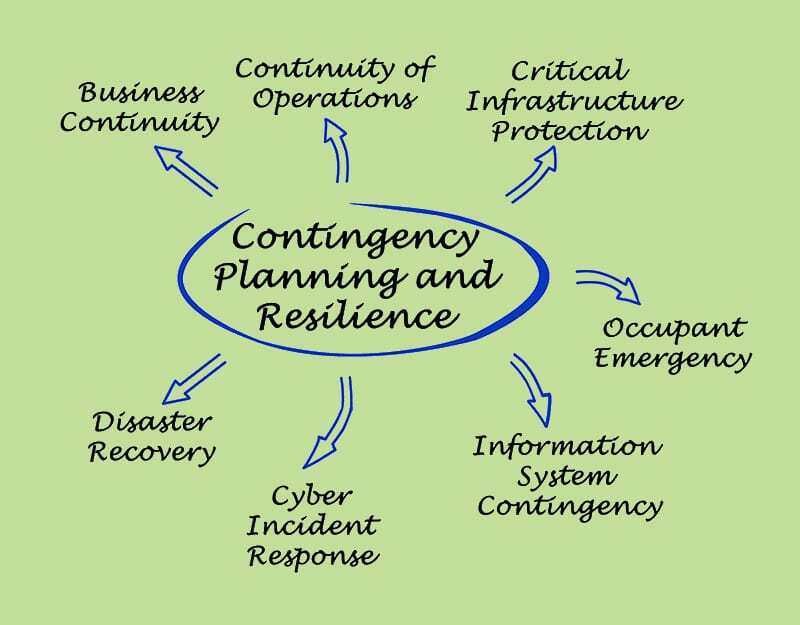 For more information about how to keep your business up and running in the event of a disaster, register for our next Business Tech Talk on Wednesday, September 20th @ 2pm: Business Continuity Planning: Data Backup & Disaster Recovery. If you are unsure whether you are properly backing up your data, give us a call or contact us online today. Our hearts go out to all Houston residents and businesses suffering from the devastating effects of Hurricane Harvey, the strongest hurricane to hit land since 2005. September is National Preparedness Month, and unfortunate events like these should be a reminder to everyone, regardless of where we live, that we must always be prepared. The Mid-Atlantic region was lucky to avoid Harvey, but as we’ve seen in recent years, massive storm systems can and do occur here, causing destructive effects, including flooding of our homes, loss of power for weeks at a time, and disruption to our daily lives. If you are a business owner, you probably know what a single day of unexpected downtime can do to your bottom line. Imagine what a week or more of unexpected business closure could do. It’s also important to remember that disasters come in all shapes and sizes. In fact, natural disasters only account for 10% of unplanned outages. The only way to truly protect yourself and your business from a disaster — natural or human-made — is to fully understand your threats and build a professional disaster recovery and business continuity plan. Let's face it, your data is your business. Without access to your network, e-mail, files, line of business applications, and/or client contact information, business productivity inevitably suffers. The good news is, with just a little bit of planning, you can prepare your company to conduct business as usual. It is critical to make sure your data is backed up properly. Implementing data backup and recovery practices will enable your staff to work remotely and conduct business as usual despite loss of power in your office space. Technology allows your data to be transferred off site to a secure location every night. If you host servers at your office, at least your most critical data should be replicated to a highly secure, SSAE 16 Type II certified data center that guarantees uptime levels that you cannot. At IT Solutions, we have your on-premise server data covered with the ITS DataVault.